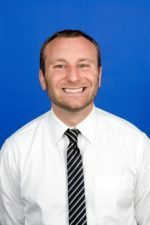 David Pantalone, PhD, is an Associate Professor of Psychology and Director of the Clinical Psychology Doctoral Program at the University of Massachusetts, Boston, and a Behavioral Scientist at The Fenway Institute of Fenway Health. He completed his academic training at Brown, the University of Washington, and the Seattle VA, and is a licensed psychologist in Massachusetts. At UW, he trained in DBT with Dr. Marsha Linehan. His clinical interests are in treating mood, substance use, and personality disorders, and on the dissemination of evidence-based treatments for these problems. He is an investigator on multiple NIH-funded projects.